Many smartphone users do have a particular problem with their device and the problem is how quick their phone battery drains or the battery life becoming short, as a result of this, many have resulted to buying extra batteries just to satisfy their battery thirst or better still going for devices that carries very large battery, most especially in Nigeria, well i won’t blame them looking at what our power sector is doing although there are some improvements in some locations. But no matter the pack of batteries you have or how large your device battery is, it will still not satisfy the user. This is because the larger the battery capacity, the more it would alter the size, weight and aesthetics of the device (until maybe another type of battery cell in introduced). And another side effect is that a large battery would translate to the device heating up because of lack of space (due to the way premium devices are closely packed). And to be honest with you, your device usage will determine how long your battery will last and well it will function. 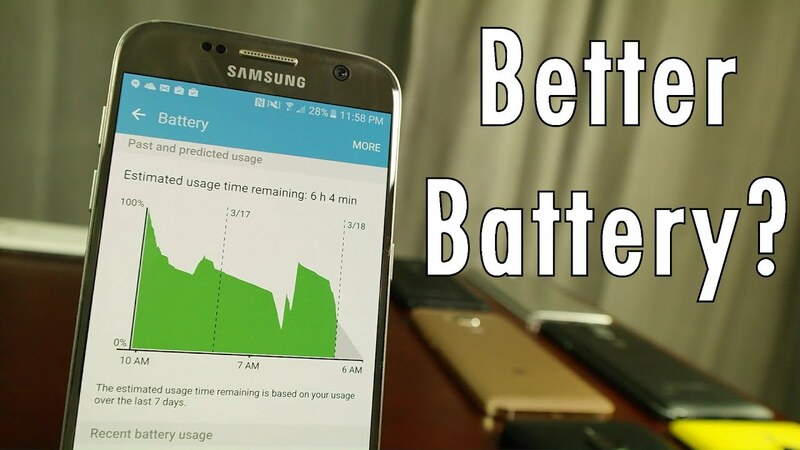 In this article, we are going to examine some major steps on How to Maintain and Increase Lifespan of Your Phone’s Battery so you don’t become a slave to large battery device which has nothing more than the battery to offer and moving about carrying loads of extra batteries. First on the list is avoiding using some heavy launchers, many users are enticed to some fancy launchers they see not knowing the damage it will cause to their battery or device at large, although some launchers help to beautify your phone’s interface and gives easy access as many devices come with default launchers which might not be that friendly and easy to use, especially if you are using Android Smartphones. Launchers take up a lot of battery power because they are constantly running, even in the background. So if you found yourself in the need to use a launcher, try to go through the descriptions to know what you are about to use or check some very light launchers in your AppStore. Battery’s greatest enemy is the Background running applications, so always close the background running applications when the phone is not in use, Once you are done with an application, do your battery a great service by clearing it from your recent tabs. This would free up the workload on the processor and battery. Many of us do fall under this category, but the truth be told, Charging your device to 100% all the time would wear out the battery faster and reduce the lifespan. The recommended charging limit should be around 80-90% and it should not drop below 15%. This is another function that drains the battery faster. This is because they work both when your device is in active use or not in use. In as much as they help beautify a device, they also cause a lot of drainage to the battery consumption. I have come across many Smartphones users under this category, some users tend to always have their location, GPS, and Bluetooth always on even when they are not using it. If you are in this category, Please be informed that Applications like Bluetooth, Wi-Fi, Flash share, GPS etc. Quickly drain your battery a lot. It is advisable to always switch them off after use and check if you have it on because in most cases you might not know its on. Additionally, You should also have your data connection switched off if not in use when you know you do not have access to power up your device.